News for those looking for a good watch in Stoner film genre. 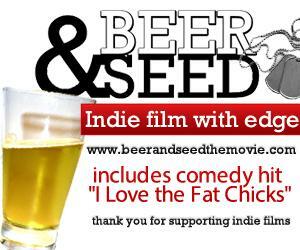 Indie movie “Beer & Seed” is making huge waves on Amazon with its rich dark comedy, authentic gritty realism and promising performances. The film has been awarded with “Best Indie Feature” award by the esteemed C-47 Magazine and has been officially selected for NATFFF 2017. “Beer & Seed” is written & produced by Navy veteran Bill Cox and directed by Seth Conway. Bill himself plays the protagonist (Bill Cook) here. The indie film has already garnered a stellar 6.7 IMDb rating and its Amazon page is bustling with long list of 5 stars and rave reviews from the happy audience. Cox’s award winning indie project revolves around Navy veteran Bill Cook who desires to resume his college days to complete his graduation. He is also looking forward to relish the wild fun of college life and do everything that he was unable to do when he was in his early 20s. Little did he know what life has in store for him in his new journey! As soon as he steps into the college, Bill finds himself in a completely unfamiliar yet interesting world. He encounters a seasoned drug peddler Seed, a rookie peddler Steve & extremely smart Sue who joined college just to have cool time. Besides, there is a Doogie Howser -sort of student Jimmy who is extremely passionate about the seedier quotient of the college. The young crowd is not so pleased to see a senior person in the campus and does not leave an opportunity to bully him. Interestingly, the film is inspired by Bill Cox’s own life as he too is a Navy veteran who went to college (Central Michigan University) after serving the Navy and had to encounter the typical issues like bullying, drug abuse and drinking. Audience has loved the way how the film has surprised with unpredictable turns time and again. Bill’s script has earned kudos for being effortlessly tight and engaging. “Bill has written this film in such a way that one moment that film seems to want to go down the American Pie or Community style comedy path while it often threatens to become a Gran Torino or Harry Brown style story where Bill might be asked to start cleaning up some of the dirtier sides of the school”, noted one happy review. Bill has even received rave reviews for his natural acting skills. Talking about acting, Andrew Peacock (Seed) stands out with élan and shows promise. “Beer & Seed is inspired from my own experience of college days after I left Navy. I am grateful to Bob Williams and all the actors and I owe a large part of the film’s success to them only. With all the high ratings and rave reviews that I am receiving of late, I am hopeful that those will also inspire other novice writers to dream of making it big with small indie projects”, Bill Cox added in.